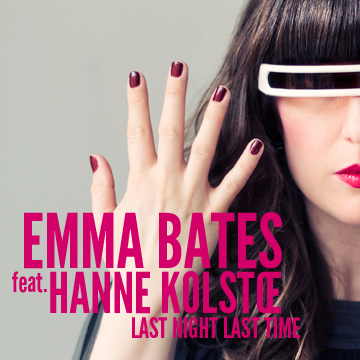 The brand new single ’Last Night Last Time’ featuring Hanne Kolstœ is out now! Emma Bates is finally back with the awaited new single Last Night Last Time featuring Norwegian pop singer and songwriter Hanne Kolstœ. The track comes with two amazing remixes by Dutch group InStatic and Swedish house producer Andalo and is ready for download on all the major online stores such as Itunes, Amazon etc. The tracks are also on Spotify and Wimp. Visit Emma Bates homepage, like on Facebook and follow on Twitter.